It goes without saying that everything happening right now is all a dream come true. In the last couple of days I filmed for Inside Edition, Katie Couric, and The Today Show. 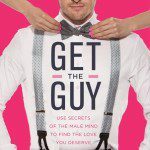 All to talk about my new GetTheGuy book and ‘Ready For Love’ on NBC. This week, there is A LOT more to come. And yet, while my dreams are coming true, it’s still hard. People often forget that when trying to achieve their dreams. And that there will be ways in which life is still hard once they’ve achieved them. My life right now is hard. It’s hugely exciting and rewarding, but it’s still hard. First, there is the pressure to perform. The next few days are going to be the biggest (and most nerve-racking) of my life. I’ll be appearing on somewhere in the region of 12 different TV shows, 10 different radio stations, and in more articles than I can keep track of. Performing is something I’ve done for years now, every weekend at my events. I can speak for 50 hours over 5 days straight (a long way from not being able to give a 5 minute speech in class at school!). It’s become second nature to me. Except that all of this hasn’t been a ‘performance’ for me. It’s been me. It’s my love, my passion, my baby. My ideas, my thoughts, my stories, my personal experiences… everything is me. As I evolve and change, so does my material. As my story gets richer and more diverse, so do my ideas. I believe that a great deal of my success has been due to my authenticity, my candidness, and the fact that I’m congruent with my material. So it’s something of a bind. The more authentic I get, the more successful I become, whilst simultaneously deepening the extent to which I let people into my world and my life. Tomorrow, the number of people who will be exposed to me in that way will be beyond anything I have ever experienced. Last week a delightful journalist by the name of Amanda Stern interviewed me at my hotel in New York. She gave me one of the most interesting interviews I’d ever had. She was honest. She was tough on me, and didn’t let me off the hook on anything, but I really liked her. As the interview was nearing a close she said, “I’m a little worried about you”. She expressed her concern for everything that was about to happen to me. I mentioned to her that although I was scared, I was resigned to staying true to who I am, to what I believe, and not getting sucked into becoming something I’m not. I also said that my friends and family were there to keep me sane and be my rock through all of it. And they do, everyday (I remember when I went back to London to see them recently, I couldn’t so much as ask my mum for a cup of tea without my brothers saying, “Oh look at this guy, he’s gone all Beverly Hills already…pathetic”. I love them so much!). That when I come back to my own blog I feel like I’m home. Because I have you. You are my rock. You welcome the new things that I put out with open arms. You celebrate it. You share it. You support me. There is something that to me is extraordinary about this little world we have created together here. It goes beyond you just liking the content of the blog. You actually want the best for me as a person. And that is a rare thing. All this is to say that you are more than my clients and followers. You are my friends. And I love you. We are a team, and we stick together. I will keep making videos and articles to support you. I will keep writing posts and staying honest not just about my triumphs, but my flaws, my insecurities, and my doubts. There is nothing we cannot achieve as a team. Thank you from the bottom of my heart for always being there for me. P.S. I can’t wait for you to see what’s coming tomorrow. There’s an email that’s coming for you at 7am. Stay tuned. My name is Hafsa and I just want to say thank you. I am so touch by this beautiful letter it’s crazy how you make me smile. Everytime I see your video You make me feel happy. I want to congratulate you because you deserve everything, that’s happing to you. So pround of you and I want to keep doing what makes you happy.And keep being the amazing person you are. I don’t know you personally but I can say that you seem to be a great person. Congrats again Xoxox. Thank you for your Beautiful Love Letter! Once again you have touched my heart with yours! You are amazing how you trust us with your feelings as we trust you with ours! Even though I haven’t had the pleasure of meeting in person I feel like I have thru your videos and blog and your book . I hope that as your schedule gets tighter that you will take time to take care of yourself because we love you so much and we need a person like you that is so committed, loving, passionate,caring, kind, creative, very funny and also very good looking! Always know that I will have your back and support you in all you do because I also believe in Teamwork. I hope you realize how much you mean to me. Your advice always comes from a place of love and I can tell. Thanks for being such a great team leader. When you are strong enough to show your own insecurities it makes me feel that I can trust you with mine. You do it in such a funny way, I love it and want to see more! Please take care of yourself. Thank you for letting me see and feel your heart it’s beautiful! Hi Matt! I read your book and have recommended it strongly to all my girlfriends. You really understand the female perspective and come from a supportive place that I so appreciate. Your advice has seriously changed my life for so much better! Can’t thank you enough. I also wanted to tell you that your authenticity, gratitude and love for people come across in every interview and post you do. Keep your energy up because we need you! I always watch all your videos, and all your advices are so usefull and important to me, and of course to all the girls who follow you….! It’s been so long that I’m not in love, and all my friends can’t believe that I’m still single…and for a while it wasn’t an issue for me, because I felt I didn’t need to be in a relationship again to be happy and fullfilled. My last love affair was a long five years’relationship, and it wasn’t easy to find a new life balance after its end. I think that you need to know to live alone and to find your own balance before a new relationship. But now I’m ready to find somebody to love and I really don’t know how to do….I feel like I can’t be attractive anymore….and your advices, Matt, help me to feel confident again. So I thank you so much for your blog and your videos and your book of course! I’ve ordered it and I can’t wait to get your book and start reading it! Hey matt! how are you honey? guess what, just bought the book today! I’m so excited! i won’t get it till next monday but i have it! so I’m really happy, i hesitated a long time to commit in some way with you, and i don’t even know why, got the book now and really, please come to mexico!!! I’ve learned so much from your program get the guy and that literalley made a positive change in my life. I didn’ t really thank you for that. So once again a BIG THANKS for all your knowlegde you share through your programs, blogs & videos. Keep up the good work & looking forward hearing , seeing and reading more about it and of you. Sounds like you are setting new records each day with your TV show and radio appearances!! They will feel as natural as a trip to the coffee shop soon!! So glad your blog feels like home. Having all these wonderful new friends from the recent retreat is like home for me and receiving support is something I am much more grateful for now as well as Thrift Shop :-) Sending you love and best wishes for the coming week. All the best for your book! I know it’s going to be a roaring success!!! Get the guy is helping me at so many levels, I can’t even begin to you :) Can’t thank you enough. Really want to give back to you and your whole team too. Will figure out a way and call your office in London. Feels great to see how all the love comes back to you – with so many people rooting for you! And you’ve also launched get the girl! Congratulations!!! this is just brilliant :) You are brilliant! I bet you get that a lot, but you really are just brilliant. Thank you for being who you are and doing what you do. Even though you’ll be busier than ever and I’ve never spoken to you or met you, I feel like I know you. You deserve the best of everything in life. Really excited for you!!! I know your success is just going to keep growing because you’ll keep growing and still be sincere, grounded, fun and brilliant. I really like this post. It shows one more time the vulnerability inside you and how you go over your fears and doubts. I just like it. I just love you so bad ! You always inspire me <3 I'm so happy I found you . The passionate you put forth in your work has always inspired me, and has motivated me to put forth the same amount of passion in my own life. You have the wonderful gift of positively influencing and changing a life; how bloody beautiful is that? Never be afraid to share that gift. You’re headed for so many great things, and it absolutely brilliant to watch it all unfold. If you’re scared, it’s because you care so much about what you do. If you were an arrogant so and so, you wouldn’t give a toss. But you do care, you care deeply that your message remains authentic, and that you yourself aren’t portrayed as some Beverly Hills glitter boy – having followed you for a while now, it’s clear this just isn’t you. 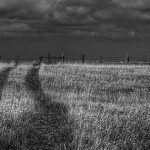 Perhaps the blog is also comforting because you also have more of an element of control over it, and the message, and what happens to that message. When your book and you are exposed to the big wide world and every journalist and talk show this side of Oprah, then I think it’s understandable that part of the fear may stem from what happens once it’s out of your hands. A bit like Chinese whispers – you can’t control the message once it’s out of your hands, and what interpretations people put on it. As a writer and a bit of an introvert, I can relate to feeling more at home with the blog. It’s more personable; you get to say exactly what you want in the way that you want to, and no one is going to glitz up, edit, re-take, re-word or cut down completely your message and its natural flow. Your blog comes from the heart – and that’s the way it should be, and why you have such a huge following. But you know that by now! So I guess it’s natural to feel more comfortable and enjoy the ‘intimacy’ you have with your blog and its audience, and why you keep coming back to it (and also keep producing those little youtube vids for us). They are the vehicles through which you have the most control over your message, and how it is delivered, without it being misconstrued, diluted, or, the “he’s too young” etc comments that we know you’ve been subject to. Write from the heart, when the mood strikes, when you have something to say, and you will nourish not only us, your readers, but also nourish yourself, because it is one of the things you most love doing. This is the first time I’m posting a comment though I’ve been reading your blog for quite a while. You’re an amazing writer/blogger/counselor and I think is very cute how you show concern for your fans and we do want you to be around, even after the book release and the show airing. Enjoy your succes! You’ve earned it! You have us all caught up in this whirlwind of emotion and warmth. You have created such a depth of positive, protected energy that we all feel inspired to take up your ideas and run with them and you. An amazing achievement. I hope Amazon in UK will soon offer this launch we seem to have missed the unveiling ceremony. So happy for you and your success!! I know the book will be a bestseller!! I’ve learned so much already from your Get The Guy Program and have seen success like never before!! You are amazing!! Can’t wait for Keep THe Guy!! Thank you so much for your lovely letter! I had the pleasure of meeting you yesterday at Bar Americain (for those of you who weren’t there, I was at a business lunch when my coworker told me to check out the cute guy at 9 o’clock. And as I turn to look, it’s Matthew himself sat at the next table!! Crazy moment!). But anyway I just wanted to wish you the very best of luck again on the book and the show! I think I speak for most of the ladies on this blog that today is a bittersweet day for us. We’re all excited for the meteoric success you will achieve but at the same time, now we will have to share you with the rest of the world which will no doubt fall in love with you too! What you do is truly brilliant and has been an incredible inspiration to me. I know that what you have shared with all of us from the beginning is deep in your heart, your passion, your love. You are compassionate, caring and you truly work very hard to help all of us girls find love. We are so proud of your success and I am so excited to see what beautiful new things are going to happen for you in the future. All the best to you in your endeavours. We are here for you. Thank you for being here for us. Hi Matt! it’s always a pleasure to read from you. Your book is absolutely great! A couple of questions : have you ever thought about publishing your book in french? Unfortunately only a few of my friends speak english and I do believe french people need your advises :) I promise I would double like and triple share! The content of your book applies to women but I think a lot would be usefull for men too (socializing, bring life to next level…). Do you have anything I could share with male friends? You’re maybe too busy at the moment! Thanks Annabelle! On a French version – would love to, and it’s very much down to the success of this one. The *love* we all feel for you here, is amazingly Electric!! I feel so incredibly proud of you, right now, and so happy that you are living your life, the way you want. Thankyou Matt, for staying TRUE to you, and for sharing your genuine love, with and for us. And for showing us how much you care. You truly are a Kindred Spirit, a real Champion among men, and Incredible human being! Your angel wings transcend beyond vast oceans, and fly high above boarders, bringing people together under a covenant of heart-felt *LOVE* and appreciation. Its a beautiful thing! Thankyou for helping to heal our wounds, nourish our minds, and strengthen our hearts. It takes a GR8 man, to have a woman begin to believe in herself! And for her to continuously grow, in her new confidence, better awareness, raised self-esteem, fresh direction, and new life tools, with his help. Hi, Matthew. Your love letter is so touching. Melting me from inside out. Thank you. Congratulations on all of the good things that have come your way! You are truly an inspiration to us all. Not just because of your advice for getting the guy, but for being so true to who you are and what you believe in. Ever since I started reading your blog and watching your videos on youtube I have not only been inspired by your dating advice for creating romance, but I’ve been inspired to keep creating in my life by building my self-confidence and strength and being the best me I can be. Thank you Matt ! The information you provide with such honesty and sweetness makes it all the more valuable to those of us in need! Hope beyond hope that you are even further blessed with success and happiness and that you continue to realize your blessings now and evermore. Life is such are ride, do all you can to love , laugh and enjoy the all the moments good and bad! Be humble but be proud of the accomplishment! Thanks again so much for all you have in your heart to offer. Thank you so much for sharing! It’s always so inspiring and endearing to hear you speak from the heart and not creating an ideal image of the impeccable mentor (isn’t it tempting at times?) I think it’s very unique when someone allows such opennes and even vulnerability. It amazes me! I want to be that bold and strong. Matt, you will always have followers who will love you.I love your determination to stay grounded and unassuming while riding on the crest of the wave. It is beyond rare. You respect what you have and that alone will ensure that you will always get what you want. You can handle success and so it will come to you. im soo inlove with you, thank you, for sharing this much I’ve learned a lot. God really love you he gave you so much talent and helping people.. Keep if up matt..
It’s an inspiration to see how many people you’ve helped along the way. Your passion and love for the work you’re doing really shines through and I can only wish that you will find the same happiness and love in your own life that you have so willingly shared with us. Although I’ve never been in love and propably will never be, I still come back to these writings to remind myself that love is around in abundance. I have to thank you personally for this “letter”. I have to admit that my love life isn’t what I expected to be, but hopefully with your tips and advices it will get better. Anyway… This letter was very touching for me as performer. Lately I’ve been having a lot of internal conflicts because I’m afraid of not being able to achieve my expectations. You made me grow so much, you encourage and help not just me but all of those women. For that, I’m the one who has the obligation to say THANK YOU!!!! Even though I’m far away from making my dream come true, I completely relate to you. You just awoke my passion for performing on stage once more. I’ve been facing hardship from everywhere but when you have a reason to live is when you gain strength to fight negativity with love and smiles. One of my favorite quotes is ” Reach high, for stars lie hidden in your soul. Dream deep, for every dream precedes the goal.” And everyday when I look myself at the mirror I see shining stars, but sometimes I don’t allow people too see it. Am sorry that I have to sound different from the rest of the good people here. 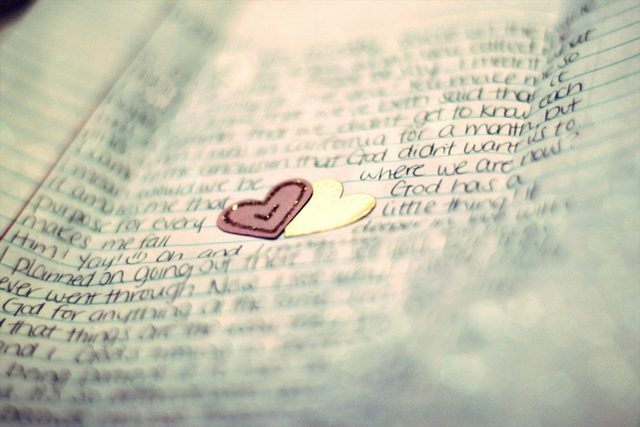 Truly for my case, I didn’t understand why you sent me this love letter. I have been reading and acting upon everything you send me via my email but things haven’t worked out at all. Truly I have strugled with this guy because I love him but he never felt the same as I did towards him….and now I give up. And I don’t think that I will ever be able to openup my heart to any man again. Iam 25 going on to 26 six but not even one relatioship in my life have I had…not even once.so I give up on love. May be I wasn’t meant to be loved by others (men).It hurt a woman so bad to be rejected by a man more than twice. I makes a woman like me (a PISCES)FEEL like committing sucide. Am sorry for having to put you through all this mess of mine. You really need to buy the book Elizabeth. There are tons and tons people trying to grab money on line and when I started to subscribe your newsletters and courses, I was not sure what wil be the difference of this course and other courses. However, it becomes such a delightful thing to receive your blog post and enjoyable videos. It is amazing to think how you are having so many meaningful relationships with the many people reading your blogs. And every time I read your writings, I feels like growing as a person. It is a pity that I have never received a personal consulting slots from your team. I am not sure is it because my questions are not appropriate or I am still too young to get a hand on love issues without some trying. But I still hope to get in contact with some of your awesome team members. Wish the best of you. I’ve never posted a comment not because I wasn’t reading them but I must confess that I was still skeptical. Not of your work for whatever little I’ve implemented did yield tangible results. But you see, having lived in the States for almost 20 years and having been on a “soul search” for that long, I have encountered many teachers, instructors and so called “gurus” of all kinds and in the end, no matter what their approach was, they disappointed me. Their teachings were in most cases tremendously helpful but when the moment came to interact with them (via email, live questions, etc etc) they were utterly detached and “out there”. In other words, they didn’t seem to be aware that with such teachings, they-as teachers, had entered a very sacred aspect of us: our hearts and our souls. And believe it or not, there’s this sense of “intimacy” that is created (at least in the mind of the learner) because of that, that seemed foreign to them. There was this tremendous gap between what they were teaching and our experience of that. Their teaching had become this formulaic abstract things “up there” whilst for us it was very much still in the very core of our experiences and hearts! So, to reach out to them and find this very commercial, marketing oriented, rather superficial side of them was disappointing at best, devastating at worst. Reading your letter tonight inspired me to believe again that there’s still people out there that are motivated by a great cause and that in the process of achieving “fame” or notoriety, they haven’t forgotten what is truly important. Your letter seems to reveal that all this new things that are happening to you have not gone to “your head” yet and that you still are honest and real. Your words made me believe that it really isn’t about the money- which I have nothing against you getting tons of it! but hope you do it remembering that you are touching humans hearts and lives. Your words made believe that you truly love what you are doing and for that, even if you discovered that your approach and teachings need some tweaking, I’d still follow you! I much prefer an honest and perhaps “inaccurate” teacher who never forgets to connect to his students from the heart than an “all knowing” one who sees you with a dollar sing on your forehead. You said you love me in your letter and I so hope it’s not just a marketing strategy for I, after reading your letter, love you to and wish the absolute best for you! Your honesty and dedication are an inspiration to me! I have a wish for you, and I think your friends and family would agree, I hope you find your 100% right person soon. You’ve given so much to the masses and I hope all the love you have shared and helped create for others comes back to you ten fold/100 fold (+). One thing I love most about your blogs is that you always speak from heart. When I first saw your videos, few months ago I really wish I could attend one of your live events, it is finally going to happen this Saturday so excited. It sounds like you are very excited and nervous at the same time. When I see the ads of Ready for love on buses here in Manhattan I feel very happy. You are helping many women like me. Great things are waiting for you. Not sure if you’ll even get to this post with all the many positive responses here. But..thank you for being you. We are all connected to each other & by helping others we help ourselves. Stay true to yourself – take time just for you. And don’t do things that make you unhappy. Life is far too short & precious for that. Good on you for achieving success & helping so many people communicate. Be well. We don’t know each other – sure, ok. But I consider what you do my ‘minor’ haha. Anyway, it may sound weird but, I’m so proud of you!!! Today, I was in a Mexican ‘restaurant’ and they had the tv on. I turned to look at in the nick of time and I saw your bright and smiling face. Ohh, I feel my heart swelling with pride, even typing this right now. I’ve been ‘following’ you since… actually, it’s probably over a year now!! Ahh! It was a tv spot for the Katie show… I started yelling (practically), “Matthew! It’s Matthew! !” My brother did not know who you were, or why I mentioned you with so much affection. And I’m sure the others in the restaurant didn’t really understand either. Anyway, this is how far and how deep you’ve burrowed yourself in my life. And all these updates lately, MAKE. ME. SMILE. Matt!!! I can’t describe with words how touching your message was to me. I think if I wouldn’t have seen one of your videos many months ago I wouldn’t be the person I am today. Your ideas have inspire me to be a creator of opportunities and have empowered that little side of my personality to come out of the darkness and guide me through many adventures my soul was desperately craving. Not only you have given me tons of knowledge but also amazing life lessons that I’ll cherish forever as I become my better self. If it wasn’t for technology and the fact that you have shared with the world your message I could still be lost and living in much pain. Thank you for being so awesome, so inspiring and such a valuable human being. Take care and keep being real!! Matt, I am so very touched as I do feel every single word spoken here with heart. Thank you so much for enriching my life- all of our lives! Everyone sure could use a REAL good cup of coffee that most often rarely gets delivered right. The world will be blown away very shortly. So you go, Matt! This was very touching, and we appreciate that you still make time for us, your followers. Good luck in everything, you will be fantastic! Thank you for staying true to yourself and to us. Here’s to an abundant life for you and your team! Matt, thank you for the letter. I look forward to the book and the show….best of luck! PS. Get some sleep and smile as you wake up to your new world. Hugs! Keep up the great work and keep remembering this original crew! 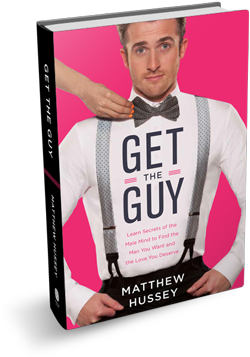 ;) We heart Matthew Hussey. Although your name and my bf name is the same, somehow between both of you, you earn extra point because u sent me this love letter. Best wishes to you and your career. Take care and have a safe trip wherever, whenever. What a lovely touching letter .One and a half year ago ,I accidentally found you on YouTube .Later on ,I watched all of your videos whithin two nights.I kept doing the things wif your advice and skills .Beacuse of you ,I found and got the guy I had dreamed of so long .It was amazing .You are my rock .I am counting on you for the rest of my life .No matter you will on the TV show or not in the future ,you video and words will always here be with me .Thankyou so much . Good luck! You’ve helped me grow so much as a person since I discovered you a year ago – FAR beyond the constraints of just ‘getting a guy’. I feel like a new me. It might be scary but becoming more famous will just mean more people will get to hear your advice and grow in confidence. Don’t ever think for a moment that you will ‘lose yourself’ in it all. Your very nature seems so self-examining that it would be physically impossible. Just enjoy your amazing journey ahead! Keep leading with your heart and don’t let your ego get in your way. Stay true to yourself and your vision and beware all of the coattail riders who will try to latch on. And remember to call your mum! Time will fly by quickly; always take the time to reach out with love to those who have stood by you all these years. when i started watching your youtube videos i knew you were going places, you are honest, brilliant, and you give so much…and I’m so glad you are getting there, we will probably never meet (really hope we will) still you are my love guru, and you have helped me like you have helped thousands of women around the world, you have the power of touching hearts and changing lives…and that is something very few special people have so congratulations for all you have accomplished, you deserve this and so much more and i am honored to have been through this growth with you and for you to have been a part of mine. thank you and best of luck with this new dream …let the new ones come. best wishes from your mexican friend!